Agriculture Apprentice Erica Taylor speaks to the DYW Team! 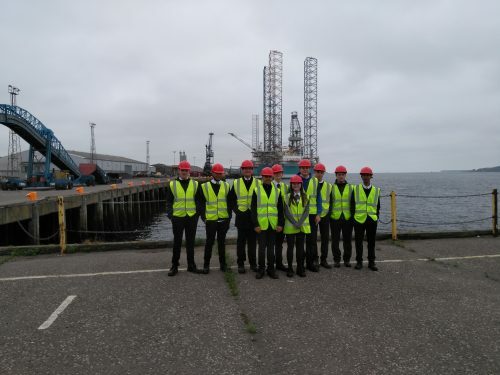 Overview: Before the end of term in June, pupils from 3 High Schools in Dundee had the opportunity to spend two days at Dundee Port and learn first-hand about how the Marine & Logistics sector operates. Organised in conjunction with the DYW Dundee & Angus Team and Dundee City Council, twelve 6th year pupils from Craigie High, Morgan Academy and St Pauls Academy in Dundee spent two days at the port as part of Forth Ports annual ‘Discovery Week’. 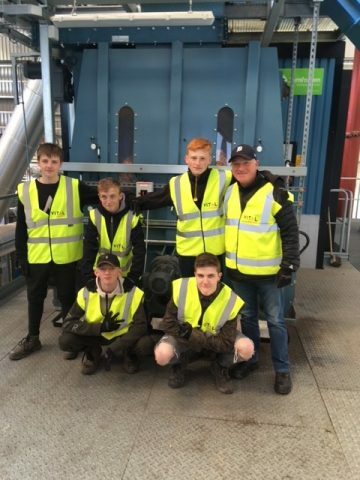 Forth Ports Ltd’s ‘Discovery week’ has also taken place their Leith and Grangemouth facilities, with pupils from across Scotland benefitting from this fantastic industry insight. Each day is structured to provide a varied and interesting look at what the industry is all about and also what skills/attributes people working in the sector need to have. GSK Lab Technician Apprentice Recognised with Awards! Name: Ellie Stephen Type of Apprenticeship: Lab Technician Apprentice (2nd Year) Company: GSK Montrose Sector: Pharmaceuticals Overview Eillie Stephen is currently undertaking a Laboratory Technician Modern Apprenticeship with GSK in Montrose. Currently in her second year of a 3-year apprenticeship. Ellie’s outstanding work ethic and attitude has been recognised more widely having recently won an SQA award for ‘High Achievement & Development’ and another for “Outstanding Endeavour”. Ellie collected both awards from Dundee & Angus College at an end of year awards event and her achievement has given her an extra confidence boost as she progresses through her Modern Apprenticeship. 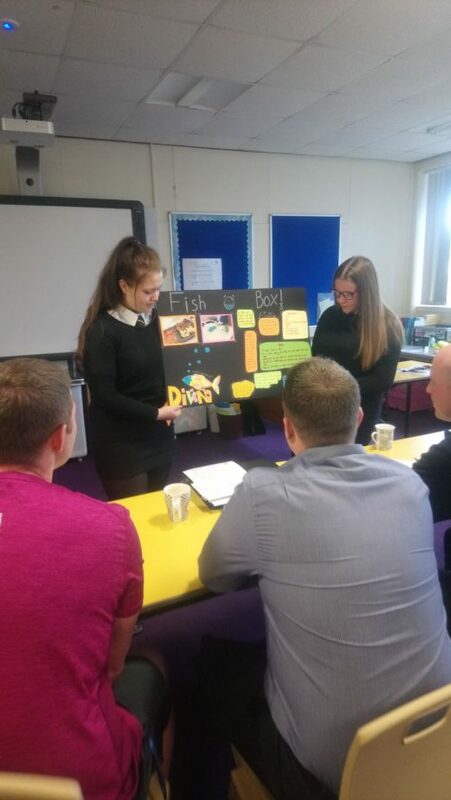 Overview Last week ‘Project Barracuda’, the excellent collaboration between Arbroath Academy and Dawnfresh Seafoods Ltd came to a very successful conclusion with pupils presenting their finished products to a panel of judges, Dragon’s Den style! Angus STEM Festival 2018: STEM on your doorstep! Saturday 2nd June, 10.00 – 14:00, Arbroath Academy Funded by Dundee and Angus Developing the Young Workforce The Angus STEM Festival is a free, family event with fantastic science and STEM shows from Aberdeen Science Centre, Dundee Science Centre and Generation Science as well as interactive workshops and stalls presented by local colleges, universities and STEM employers. Angus schools are also invited to sign-up for a stall and showcase their great STEM learning. Last week, pupils from Craigie High School’ Electronics class had the opportunity to learn directly from experienced professionals from McGill Electrical in Dundee. 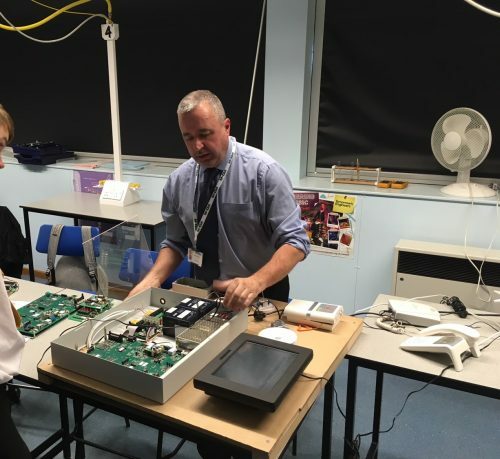 As part of the formal Partnership between the business and the School, McGill staff and Craigie High Teachers designed a practical Electronics lesson which helped support the curriculum.